In 2009-2015, the Swedish public phone-company Telia decided to shutdown it’s ISDN network and forced all its PBX subscribers to other technologies. To avoid downtime, the PBX owners needed to change it’s telecom infrastructure or upgrade its existing PBX with an IP-card which was both costly and required planning. During this turbulent time we succeeded to design and launch our groundbreaking service ISDN via (s)ip. Instead of increasing, cost our service decreased it and required no work at all. Our Gateway hardware has 1-8 ISDN(BRI) or 1-4 PRI-interfaces on one side and SIP via Ethernet/IP on the other. In other words, by replacing the ISDN lines with our gateway and transferring the customer phone number to our infrastructure, the total cost of ownership decreased due to no physical lines. The customer continues to use it’s existing PBX-hardware. In addition, our solution supports hybrid-mode, mixing the ISDN via (s)ip with our other services such as UC-PBX, Mobile integration (MEX), Mobile APP, Microsoft Teams, the PC Communicator and Wallboard statistics. 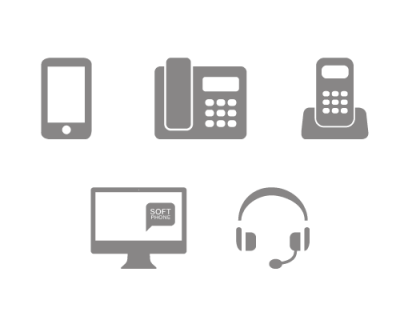 The TerraTEL turnkey solution for ISDN exchange is fully automated and supports all major PBX brands: LG, Siemens, Mitel, Ericsson, Samsung, Panasonic, Aastra and Avaya.